Postcard BY-1535613 from Belarus shows a painting of Blue Cats by artist Rina Z from Minsk, Belarus, who is specialized in watercolor, raster (digital) graphics, and mixed technique. 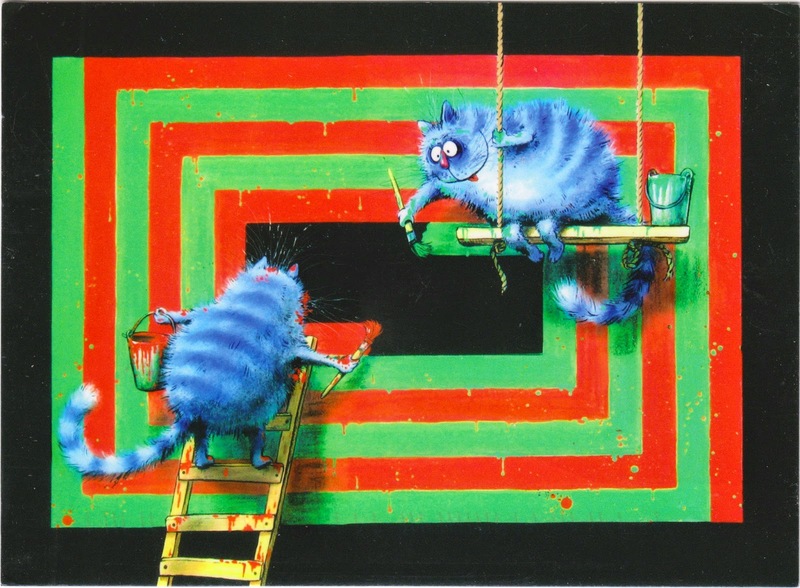 Her cats are blue only in color, not in their mood, as they are always positive, energetic and adventurous. 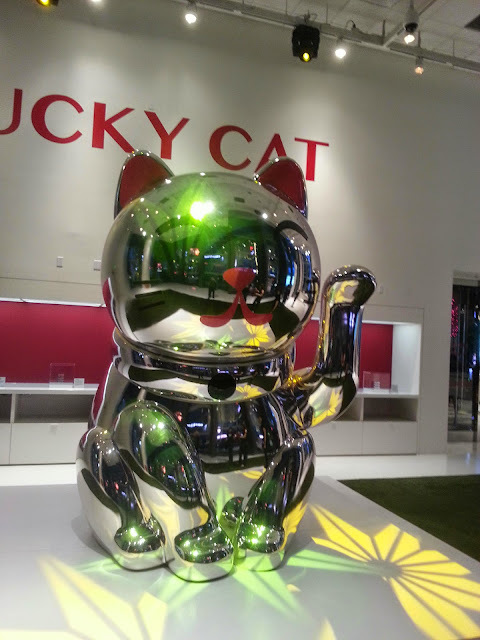 Coincidentally, the Cosmopolitan Las Vegas is hosting a "Lucky Cat" exhibition, showcasing a 9-foot or 2.75-meter chrome-finished Japanese style maneki-neko (招財貓), the fortunate beckoning cat said to bring good luck and money to business establishments. Therefore, you would often see a Lucky Cat at the entrance of Asian jewel shops and restaurants beckoning and greeting customers by waving it's paw. The Cosmopolitan Lucky Cat extends this concept further by sharing its good fortune with its guests: guests over 21 years old can touch the Lucky Cat's paw once a day to receive a Cosmopolitan promotion.